The penetration of musical styles in the European sacred music of the 17th century. Saturday 23 April 2016 17:00 — St. Joseph’s Church, Josefská 1, 603 00 Brno, Czech Republic. Organo di legno with the pipe scaling of the organ in the “Silver Chapel”, Innsbruck (Principal 8′, 4′, 2′, Voce humana, Flauto 8′). Chitarrone by Brian Cohen after Mattheus Buchenberg, Rome 1614. Viola da gamba by Claus Derenbach after an Italian model from around 1600. Cornett by Andrew Hallock after an Venetian model from around 1600. The concert takes places within the project “Expressions of musical styles in the 17th century across the borders”. In stilo moderno is the subtitle of Dario Castello’s Sonate Concertate. In this and similar works of the period, the musical language of opera and madrigal merged with the earlier polyphonic church style. The “ancient” style of church music was dominated by progressions of counterpoint, whereas the “modern” style had a much more direct way to set affetti (emotions) into music, yet without abandoning the old polyphony. A typical feature of many works of the early 17th century is the mixture of recitativo and virtuosic parts, in settings for small chamber ensembles with voice and instruments. The composers expressed specific musical emotions by adding words describing the tempo and affect, such as grave, presto or adasio. This new style was especially successful in compositions with few parts, underpinned by a continuous bass line, the basso continuo. Instrumental music became a subject in its own right. This is reflected in the development of the violin, which had been an instrument for playing dance music in taverns, before composers like Biagio Marini and Dario Castello or the virtuoso Heinrich Ignaz Franz Biber transformed it into a technically highly developed instrument, which made serious competition with the prevailing cornett. This instrumental way of writing was often used to emphasize the vocal lines and also gave impulse to vocal technique. Composers like the Kapellmeister of Freising Rupert Mayr or the Italian Tarquinio Merula placed high challenges on virtuosity and tonal range. This permanent quest for changing emotions produced a very colourful music. This development would not have been possible without the technique of thorough bass, where an organ or the lute provides the harmonic basis for small scale compositions. The continuo instruments not only play the harmonies, they also support tutti and solo effects. In addition, the organ is deployed for obligato parts like in Girolamo Frescobaldi’s Toccata or Biagio Marinis Sonata for violin and organ. This mixture of vocal and instrumental style fascinated Heinrich Schütz during his two visits to Venice, and he brought the new musical ideas with him to Dresden. In his Symphoniae Sacrae, he combines the Italian lightheartedness with German polyphonic thoroughness, while always keeping the text in focus. The musical idioms of this period include virtuosic writing with surprising harmonic movements and sudden changes of emotions, as exemplified by the works by Dario Castello and Francesco Turini; the latter was born in Prague as the son of a “Stadtpfeifer”, a city wait. The final work in our programme is an exam piece for a German city wait, written in 1701 in Zeitz, a setting of the Biblical text Whatsoever thou takest in hand, remember the end. The examinee had to demonstrate his abilities by performing the ritornelli on all three instruments: violin, cornett and sackbut. Mvsiche Varie in its basic instrumentation of cornett, trombones and basso continuo has been playing together for almost 20 years. 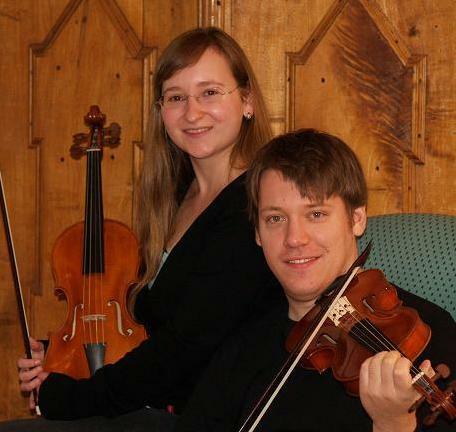 The ensemble specializes exclusively on the music of the 17th and late 16th centuries. It was engaged for numerous concerts and projects with works by Monteverdi, Schütz, Praetorius, etc. After adding string players, the ensemble is now able to play the entire early Baroque repertoires in the original scoring. All its members received their musical education at prestigious institutions for early music (Schola Cantorum Basiliensis, Akademie für Alte Musik Bremen, University of Music Trossingen, the Royal Conservatory in Den Haag) and has an extensive concert experience with many leading ensembles throughout Europe. The ensemble focuses especially on the discovery and development of hitherto unknown music of the early Baroque, which also is made accessible through Mvsiche Varie music publishing. Mvsiche Varie has produced three CDs, and the associated publishing company has published over 250 new editions of music of the 17th century. During her exciting career, Jennie Cassidy has sung on five continents and at many leading venues including La Scala, Milan and the Royal Albert Hall. Her two and a half octave range has allowed her to sing soprano with the Taverner Consort and alto with the Gabrielli Consort. She has travelled the world with groups such as the Harp Consort performing at major festivals in Europe and America. 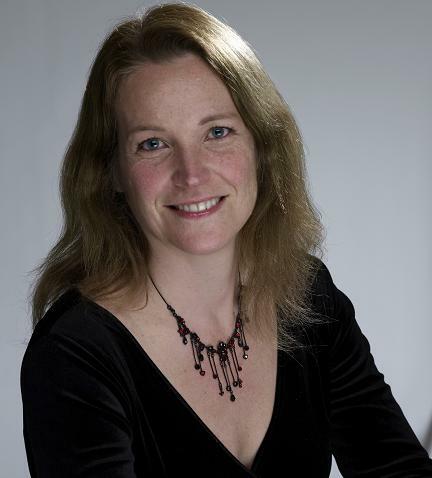 She has also performed and recorded with the New London Consort, Gothic Voices, Joglaresa, Musicians of the Globe, Musica Antiqua of London, Musiche Varie and Psalmody. She directs the acclaimed ensemble Frottola, combining lute, viol and voice. Jennie is renowned for her clarity of tone and her variety of vocal colours. She has recorded over thirty CDs and has made radio broadcasts in many countries. 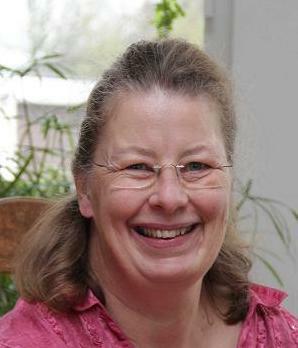 Jennie initially trained as a scientist and has a joint degree in Physics and Chemistry. She taught science for 8 years before starting her singing career. As well as her performing career she is in great demand as a singing teacher. Cosima Marius studied at the University of Music Trossingen with a focus on the historical performance practice in the subject Baroque violin with Anton Steck and Rüdiger Lotter. Already as a student, she performed in the “Music debut” television programme of the German broadcaster SWR. In July 2008 she graduated with distinction. Her activities include collaboration with ensembles such as Musiche Varie directed by Martin Lubenow, Armonico Tributo and Neue Hofkapelle München, including recordings for CD and radio. She also performed several concerts with the South-West German Chamber Choir Tübingen under Rolf Maier-Karius’s direction and with the baroque ensemble Il gusto barocco. Since 2011 she is a permanent member of Cappella Aquileia, conducted by Marcus Bosch. Filip Marius studied modern violin at the Gheorghe Dima Music Academy of Cluj-Napoca (Romania). He continued his studies at the University of Music Trossingen, majoring in historical performance practice in the discipline Baroque violin with Anton Steck and Rüdiger Lotter. He has performed with Armonico Tributo, Musiche Varie, Il Gusto Barocco, Neue Hofkapelle München, the Stuttgart State Opera, La Folia baroque orchestera, etc. He is also regularly in demand as concertmaster, soloist or as a lecturer. His artistic activities are complemented by a range of recordings for CDs, radio and television. Robert Sagasser studied in Hannover viola da gamba, conducting (choral and ensemble) and recorder. Subsequently he moved to Freiburg for postgraduate studies in viola da gamba and completed his studies there with the artistic diploma. Since 1994 he lives in the Heidelberg area, where she conducts several choirs and orchestras. 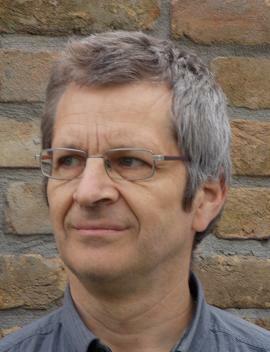 Besides his activities as a conductor, he works as a music teacher in Mannheim and Hockenheim. 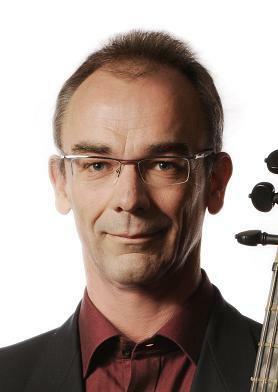 As an often requested viol and violone player he performs at home and abroad in concerts, radio and CD productions, among others with renowned conductors and ensembles such as René Jacobs, Attilio Cremonesi, Peter Neumann, Christopher Moulds, the Akademie für Alte Musik Berlin, Berliner Barock-Compagney, Ensemble Musiche Varie, the Main-Barockorchester Frankfurt and La Gamba Freiburg. Suzanne van Os studied initially guitar at the Conservatory in Zwolle (NL), followed by postgraduate studies of historical plucked instruments with Stephen Stubbs at the Akademie für Alte Musik, Bremen, and by masterclasses with Paul O’Dette, Pat O’Brien and Robert Barto. She has performed with lute and chitarrone in numerous concerts and recordings for radio and CDs, for instance with ensemble Musiche Varie, Les Amis, Telemann Chamber Orchestra Michaelstein, Zürich Opera House, Ulm Opera, and the German broadcasting stations mdr, WDR, SDR and Radio Bremen. Furthermore, she teaches guitar at the Music School in Germersheim. She has recorded two solo CDs with music by the Italian lutenist Hieronymus Kapsperger. 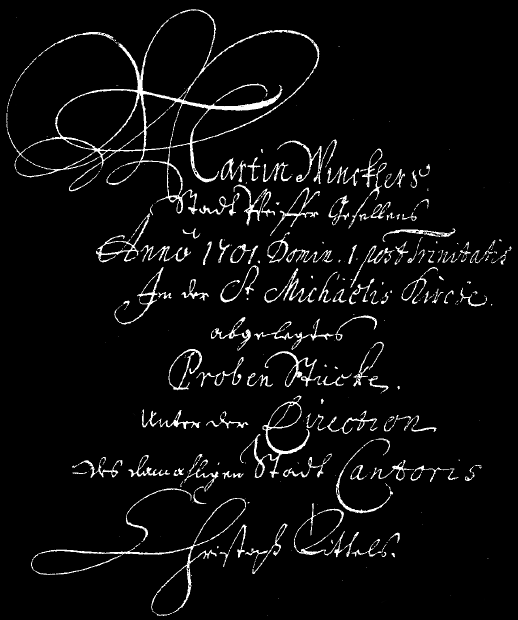 Martin Lubenow studied music, majoring in trumpet, cornett and music theory at the Cologne University of Music, harpsichord at the Folkwang-Hochschule in Essen/Duisburg, and cornett at the Schola Cantorum Basiliensis in Basle. In addition to his concert activities as cornettist and continuo player, he taught the discipline of “Historical Music Theory” from 1995 to 2013 at the Musikhochschule Trossingen, where he received the title of professor in 2008. He is also active as music publisher and has given numerous courses of early music. His special interest is the music of the 17th century. As an organist and cornettist, he participated in numerous radio and CD productions and performed in concerts at home and abroad. His own ensemble Mvsiche Varie has also taken him on concert tours throughout Europe. The intensive study of the original sources and the associated search for hitherto unknown composers and pieces led him to the foundation of the Mvsiche Varie music publishing firm, which deals particularly with the music of the 17th century. The published repertoire comprises more than 250 different titles. One focus of the publishing activity is the reconstruction and amendment of 16th to 18th century compositions that have come down to us incompletely. The concert enjoys the auspices of the Minister of Culture of the Czech Republic, Mgr. Daniel Herman. It takes place in cooperation with the Brno Tourist Information Centre and with financial support from the Česko-německý fond budoucnosti and the Statutory City of Brno.